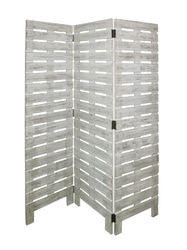 A 3 Panel Solid Wood Screen. 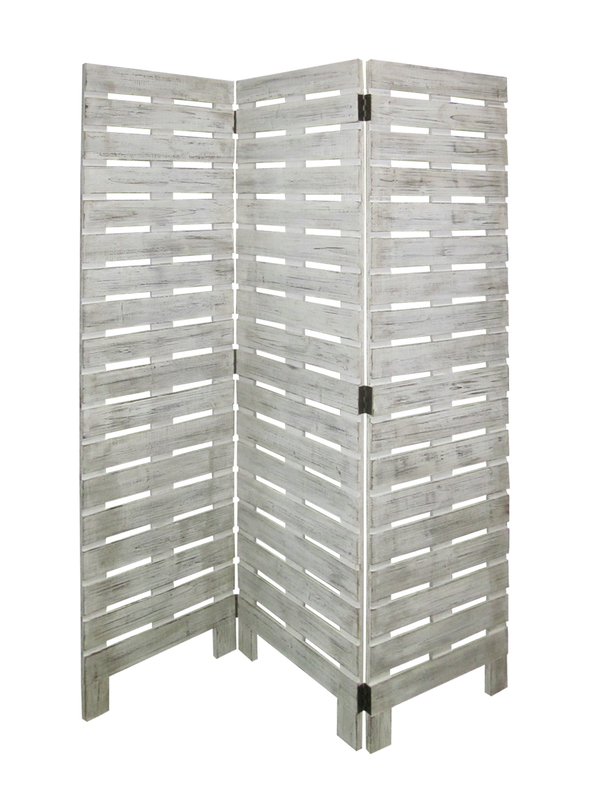 Each Panel Has Wooden Sleeves That Run The Width Of The Panel With Transparent Spaces Between Each Sleeve. Finished In Weatherd White.